Haniyeh was dismissed on 14 June 2007 by Abbas, who appointed Fayyad instead. This was deemed illegal by the Legislative Council, which continued to recognise Haniyeh. The Palestinian Authority govern the West Bank while Hamas govern the Gaza Strip. A unity government was formed in 2014. Ismail Abdel Salam Ahmed Haniyeh (Arabic: إسماعيل عبد السلام أحمد هنية‎‎, Ismaʻīl Haniyya; sometimes transliterated as Ismail Haniya, Ismail Haniyah, Ismail Hanieh; Arabic pronunciation ; born 29 January 1963) is a senior political leader of Hamas and formerly one of two disputed Prime Ministers of the Palestinian National Authority. Haniyeh became prime minister after Hamas won the Palestinian legislative elections of 2006. President Mahmoud Abbas dismissed Haniyeh from office on 14 June 2007 at the height of the Fatah–Hamas conflict, but Haniyeh did not acknowledge the decree and continued to exercise prime ministerial authority in the Gaza Strip. Haniyeh was born in the Al-Shati refugee camp in the Egyptian-occupied Gaza Strip. His parents became refugees, after they fled their homes near what is now Ashkelon, Israel during the 1948 Arab-Israeli War. He attended United Nations-run schools and in 1987, graduated from the Islamic University of Gaza with a degree in Arabic literature. While at university he had become involved with Hamas. From 1985 to 1986 he was head of the students' council representing the Muslim Brotherhood. He also played as a midfielder in the Islamic Association football team. He graduated at about the same time as the First Intifada against the Israeli occupation started in the Gaza Strip.. He participated in protests in First Intifada and was given a short prison sentence by Israeli occupation authorities.He was detained by Israel again in 1988 and imprisoned for six months. In 1989, Later he was imprisoned for three years. Following his release in 1992, Israeli occupation authorities deported him to Lebanon with senior Hamas leaders Abdel-Aziz al-Rantissi, Mahmoud Zahhar, Aziz Duwaik and 400 other activists. The activists stayed at Marj al-Zahour in Southern Lebanon for over a year where according to the BBC, Hamas "received unprecedented media exposure and became known throughout the world". A year later, he returned to Gaza and was appointed as Dean of the Islamic University. After Israel released Ahmed Yassin from prison in 1997, Haniyeh was appointed to head his office. His prominence within Hamas grew due to his relationship with Yassin and he was appointed as the representative to the Palestinian Authority. His position within Hamas continued to strengthen during the Second Intifada due to his relationship with Yassin, and because of the assassinations of much of the Hamas leadership by the Israeli security forces. He was targeted by the Israel Defense Forces for his alleged involvement in attacks against Israeli citizens. Following a suicide bombing in Jerusalem in 2003, he was slightly injured on his hand by an Israeli Air Force bomb attack attempting to eliminate the Hamas leadership. In December 2005, Haniyeh was elected to head the Hamas list, which won the Legislative Council elections the following month. Haniyeh was nominated as prime minister on 16 February 2006 following the Hamas "List of Change and Reform" victory 25 January 2006. He was formally presented to Mahmoud Abbas on 20 February and was sworn in on 29 March 2006. Israel implemented a series of punitive measures, including economic sanctions, against the Palestinian Authority following the election. Acting Prime Minister Ehud Olmert, announced that Israel would not transfer to the Palestinian Authority an estimated $50 million per month in tax receipts that were collected by Israel on behalf of the Palestinian Authority. Haniyeh dismissed the sanctions, stating that Hamas would neither disarm nor would it recognise Israel. Haniyeh expressed regret that Hamas was subjected to punitive measures, adding that "it [Israel] should have responded differently to the democracy expressed by the Palestinian people". Several months after Hamas' 2006 election victory, Haniyeh sent a letter to US president Bush, in which he called on the "American government to have direct negotiations with the elected government", offered a longterm truce with Israel, while accepting a Palestinian state within the 1967 borders and urged an end the international boycott, claiming that it would "encourage violence and chaos". The U.S. government did not respond and maintained its boycott. On 14 June 2007, Abbas dismissed Haniyeh and appointed Salam Fayyad in his place. This followed action by Hamas armed forces to take control of Palestinian Authority positions that were under the control of Fatah militias armed and supported by the United States and Israel. The appointment of Fayyad to replace Haniyeh has been challenged as illegal, because under the Palestinian Basic Law, the President of the Palestinian Authority may dismiss a sitting prime minister, but may not appoint a replacement without the approval of the Palestinian Legislative Council. According to the law, until a new prime minister is thus appointed, the outgoing prime minister heads a caretaker government. Fayyad's appointment was never placed before, or approved, by the Legislative Council. For this reason, Haniyeh has continued to operate in Gaza, and been recognised by a large number of Palestinians as the legitimate acting prime minister. Anis al-Qasem, the Palestinian constitutional lawyer who drafted the Basic Law, is among those who publicly declared the appointment of Fayyad to be illegal. An agreement with Abbas was to have been reached to stop Abbas's call for new elections. On 20 October 2006, on the eve of this deal to end factional fighting between Fatah and Hamas, Haniyeh's convoy came under gunfire in Gaza and one of the cars was set on fire. Haniyeh was not hurt in the attack. Hamas sources said that this was not an assassination attempt. Palestinian Authority security sources reported that the attackers were the relatives of a Fatah man killed by clashes with Hamas. During the simmering Fatah–Hamas conflict, on 14 December 2006, Haniyeh was denied entry to Gaza from Egypt at the Rafah Border Crossing. The Border Crossing was closed by order of Israeli Minister of Defence, Amir Peretz. Haniyeh was returning to Gaza from his first official trip abroad as prime minister. He was carrying an estimated 30 million USD in cash, intended for Palestinian Authority payments. Israeli authorities later stated that they would allow Haniyeh to cross the border provided he leave the money in Egypt, which would reportedly be transferred to an Arab League bank account. A gun battle between Hamas militants and the Palestinian Presidential Guard was reported at the Rafah border crossing in response to the incident. The EU monitors who operated the crossing were reportedly evacuated safely. When Haniyeh later attempted to cross the border, an exchange of gunfire left one bodyguard dead and Haniyeh's eldest son wounded. Hamas denounced the incident as an attempt by rival Fatah on Haniyeh's life, prompting firefights in the West Bank and Gaza Strip between Hamas and Fatah forces. Haniyeh was quoted as saying that he knew who the alleged perpetrators were, but declined to identify them and appealed for Palestinian unity. Egypt has since offered to mediate the situation. He resigned on 15 February 2007 as part of the process to allow a unity government between Hamas and Fatah. He was again sworn in on 18 March 2007 as head of the new cabinet. 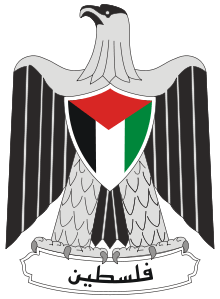 On 14 June 2007, Palestinian President Mahmoud Abbas announced the dissolution of the March 2007 unity government and the declaration of a state of emergency. Ismail Haniya has been dismissed, and Abbas will rule Gaza and the West Bank by presidential decree. During the Pope Benedict XVI Islam controversy in 2006, Haniyeh condemned the Pope's remarks: "In the name of the Palestinian people, we condemn the Pope’s remarks on Islam. These remarks go against the truth and touch the heart of our faith." He also denounced the Palestinian attacks on churches in the West Bank and Gaza. In August 2006, on his first visit abroad as prime minister to Iran, Haniyeh said "We will never recognize the usurper Zionist government and will continue our jihad-like movement until the liberation of Jerusalem". In December 2010, Haniyeh stated at a news conference in Gaza that "We accept a Palestinian state on the borders of 1967, with Jerusalem as its capital, the release of Palestinian prisoners, and the resolution of the issue of refugees," and stated that if the Palestinian electorate approves such a peace agreement with Israel, his government will abide by it notwithstanding previous Hamas positions on the issue. On 2 May 2011, Haniyeh condemned the killing by American forces of Osama bin Laden, leader of Al Qaida by American forces and said that the operation is "the continuation of the American oppression and shedding of blood of Muslims and Arabs". He stated, "We condemn the assassination and the killing of an Arab holy warrior." Political analysts said the remarks were an attempt to cool differences in the Gaza Strip with al Qaeda-inspired Salafi groups, which condemn Hamas as too moderate. The United States government condemned his remarks as "outrageous". Haniyeh is married and has thirteen children. In 2009, the family lived in Al-Shati refugee camp in the northern Gaza Strip. In 2010, Haniyeh purchased a 2,500 square metres (0.6 acres) parcel of land in Rimal, a Gaza City beachfront neighborhood. Haniyeh registered the land in the name of his son-in-law. Subsequently, Haniyeh reportedly purchased additional homes and registered them under the names of his children. According to a 2014 Ynet article, Haniyeh is a millionaire, stemming from the 20% tax charged on all items entering though tunnels from Egypt to the Gaza Strip. Haniyeh's eldest son was arrested by Egyptian authorities at the Rafah Border Crossing with a few million dollars, which he intended to take into Gaza. Haniyeh's sisters Kholidia, Laila and Sabah, are Israeli citizens and live in the Bedouin town of Tel as-Sabi in southern Israel. Kholodia moved to Tel as-Sabi first and then her two sisters followed. Kholidia's husband said "Our life is normal here and we want it to continue." Laila and Sabah are both widowed but remain in Tel as-Sabi assumingly to retain their Israeli citizenship. Some of the children of the three sisters have served in the Israel Defense Forces. In early 2012, Israeli authorities granted a request to travel to Haniyeh's sister, Suhila Abd el‑Salam Ahmed Haniyeh, and her critically ill husband for emergency heart treatment that could not be treated by hospitals in Gaza. After successful treatment at the Rabin Medical Center in Petah Tikva, Israel, the couple returned to Gaza. Haniyeh's granddaughter was treated in an Israeli hospital in November 2013 and his mother in law was treated in an Israeli hospital in June 2014. In October 2014, a few months after the 2014 Israel–Gaza War, Haniyeh's daughter spent a week in an Israeli hospital in Tel Aviv for emergency treatment after she suffered complications from a routine procedure. 1 2 "Abbas sacks Hamas-led government". BBC News. 14 June 2007. Retrieved 14 June 2007. 1 2 3 4 5 6 7 8 9 10 11 12 "Profile: Hamas PM Ismail Haniya". BBC. 14 December 2006. 1 2 3 4 Donald Macintyre (3 January 2009). "Hamas PM Ismail Haniyeh at war with Israel – and his own rivals". The Belfast Telegraph. ↑ "In 2006 letter to Bush, Haniyeh offered compromise with Israel". Haaretz. 14 November 2008. ↑ "Abbas Dissolves Palestinian Authority Government in Wake of Hamas-Fatah War". Fox News. 14 June 2007. Retrieved 14 June 2007. ↑ Levinson, Charles; Matthew Moore (14 June 2007). "Abbas declares state of emergency in Gaza". The Daily Telegraph. London. Retrieved 14 June 2007. ↑ Fisher, Ian (16 September 2006). "Pope Apologizes for Uproar over His Remarks". The New York Times. Retrieved 5 May 2010. ↑ "Hamas vows to honor Palestinian referendum on peace with Israel". Haaretz. 1 December 2012. Retrieved 17 November 2012. ↑ Hamas PM Haniya Extols Martyrdom, Says: We Shall Rock Tel Aviv, MEMRITV, Clip No. 4207 (transcript), March 23, 2014 (video clip available here). 1 2 3 4 5 6 Peskin, Doron (2014-07-15). "Hamas got rich as Gaza was plunged into poverty". Ynet. Retrieved 16 July 2014. 1 2 3 4 5 "Hamas leader's three sisters live secretly in Israel as full citizens". The Telegraph. 2 June 2006. 1 2 "Hamas PM's brother-in-law treated in Israeli hospital". Al Arabiya. 8 August 2012. 1 2 Williams, Dan (19 October 2014). "Hamas leader's daughter received medical treatment in Israel: sources". Reuters. Wikimedia Commons has media related to Ismail Haniyeh. "Profile: Ismail Haniya". Al Jazeera. 19 February 2006. "'We Do Not Wish to Throw Them Into the Sea'". The Washington Post. 26 February 2006. "SPIEGEL Interview with Palestinian Prime Minister Ismail Haniyeh: "We Want Peace and Stability"". Der Spiegel. 12 June 2006. David Margolick (September 2006). "The Most Dangerous Job in Gaza". Vanity Fair.